Holding together an Imperium requires the services of an iron elite, Marines willing to jump from a starship and into the teeth of a planetary defense net, Army troopers willing to travel the universe one slit trench at a time, armor commanders willing to bet their lives that they can get there first with the most. A history of ground combat and campaigns in the Imperium. 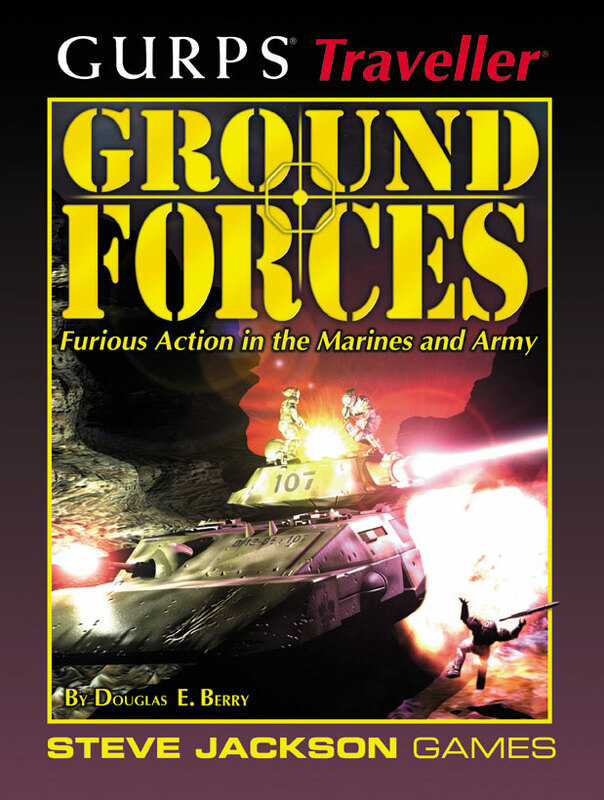 Detailed descriptions of Marine and Army units, from squads to battalions and up – as well as rules for easily determining the makeup of a world or subsector army. New, expanded templates for Marine and Army characters. New gear for Imperial soldiers. New, modular rules for designing military and civilian grav vehicles in GURPS Traveller. 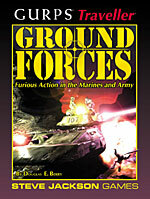 GURPS Traveller: Ground Forces has everything you need to add untold punch to your campaign! GURPS Traveller: Heroes 1 – Bounty Hunters – A full discussion of bounty hunting in the Imperium – including what to do when the local authorities won't cooperate. GURPS Traveller: Star Mercs – Everything you need for a star-spanning, military-oriented campaign in the Traveller universe is here!